Precise airflow measurement to a variety of Unit Under Test applications. Including automotive cabin leak testing. fan performance verification, flow versus pressure curves. 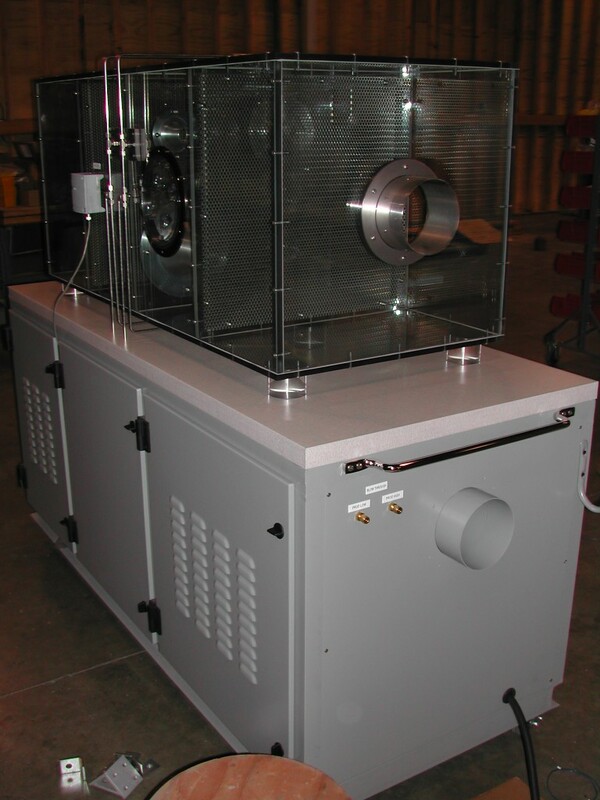 Can also be coupled with an Air Supply System for measurement of conditioned temperature and humidity air. Typcial geometry built according to an ASHRAE 41.2 and/or AMCA 210 standard. Additional airflow measurement technologies include other pressure drop devices including V-Cone. 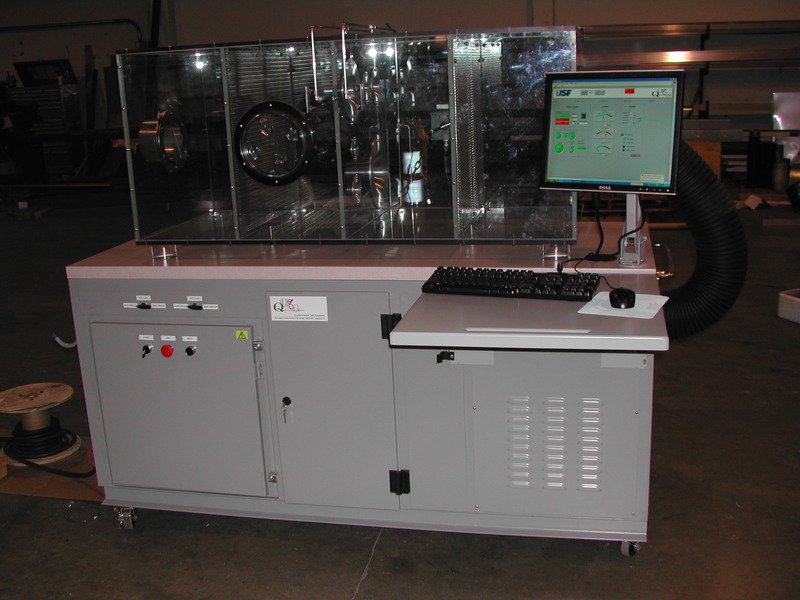 Options include supplemental ability to apply / perform back pressure control to simulate product pressure drop. Multiple nozzle arrays to achieve high turn down ratios, manually or automatically actuated. 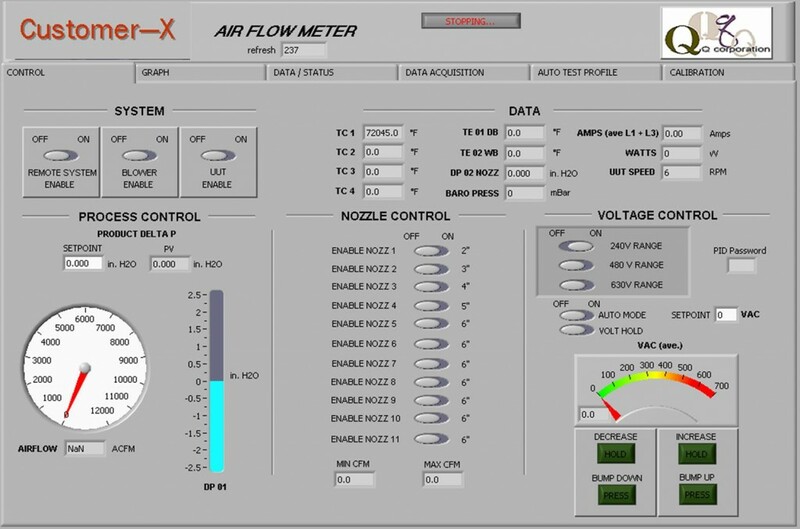 Data collection and computation through PLC based touch screen, also available through LabVIEW® automation software packages. Used as a stand alone system or integrated with other Q Corporation supporting modules, including coolant or refrigerant supply systems.